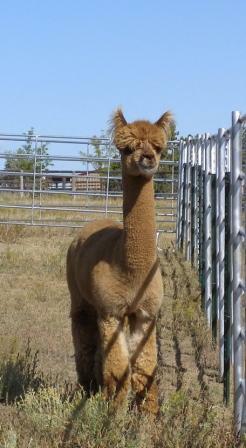 Que Sera Alpacas is an alpaca farm located in Santa Fe, New Mexico owned by Anne Stallcup. We herd you were looking for us! During the winter we make every attempt to be open for our regular hours but in case of inclement weather it is best to call to be sure we have managed to clear the roads. The welfare of the animals comes first, road plowing comes second! When you visit you can get up close and personal with the alpacas, check out the ranch store and enjoy our spectacular views. We have alpaca products from raw fleece, rovings, bats, and yarn as well as apparel, accessories, books & toys, and housewares. 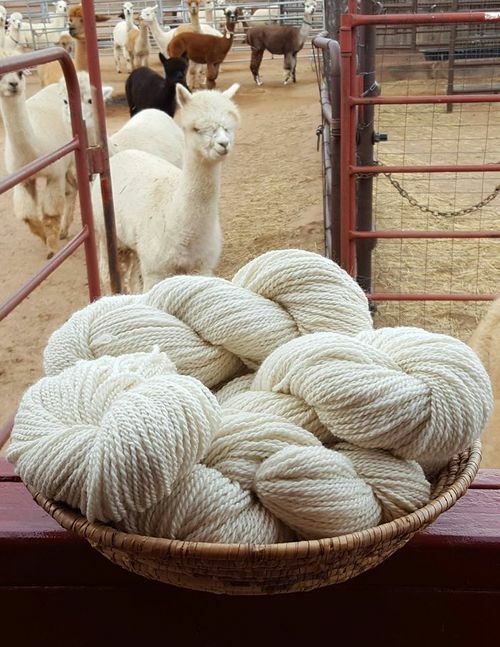 We love showing off the versatility of the wool these creatures produce and we especially love introducing folks to these wonderful creatures. We look forward to your visit. Adrienne - First Place at Nationals! WE WELCOME YOU TO QUE SERA FARMS. ARE YOU LOOKING FOR A FUN EXPERIENCE THAT'S A LITTLE OUT OF THE ORDINARY? HOW ABOUT A VISIT TO A WORKING ALPACA RANCH? Meet the babies (we call them cria) laugh with the Jr. Varsity boys as they work out their new plays. 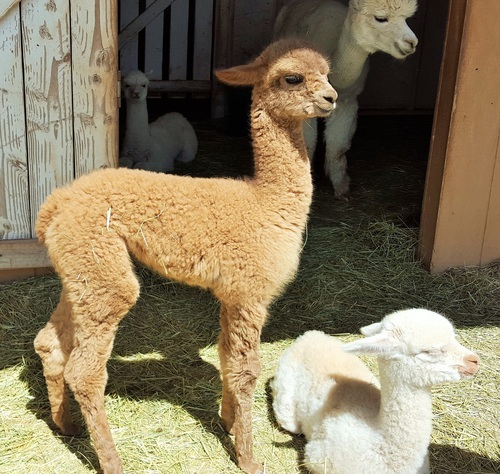 Visit our fiber processing area ... and of course there's Broonie and Moonshine, our kissing alpacas... You'll love meeting sweet Broonie, and the babies will steal your heart!. Call ANNE: 505-310-3369 to arrange an appointment. We love dogs and we are sure your dogs are wonderful critters. However, alpacas do NOT love dogs and Evie, our ranch dog takes her job of protecting her alpacas very seriously. We respectfully ask that you not bring your dogs on your visit to the ranch. They will have to stay in your vehicle and on hot days that is a problem. We offer boarding services, short or long term, midwife assistance, fleece prep services, breedings to our award winning herdsires, alpaca sales and mentoring. Give us a call to discuss your needs. EXPERIENCED BREEDER? We'd love to show you our herd. 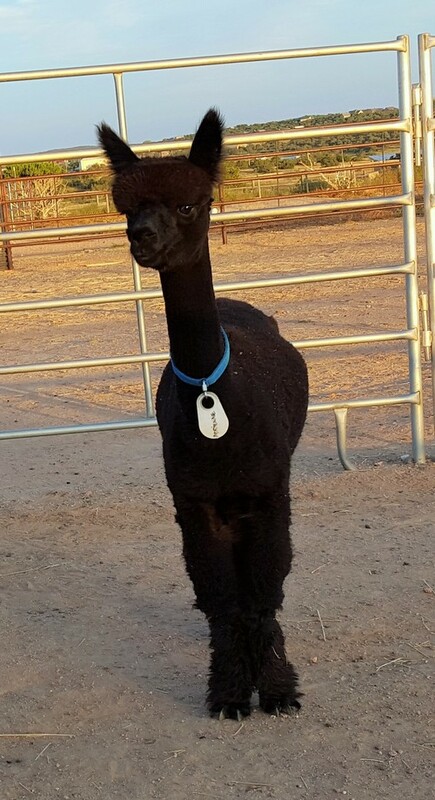 We have around 60 animals to choose from - show quality breeding stock, great fiber industry stock as well as pet quality animals - all at reasonable prices. NEW TO THE BUSINESS? We welcome visits from those who have just discovered these wonderful creatures. 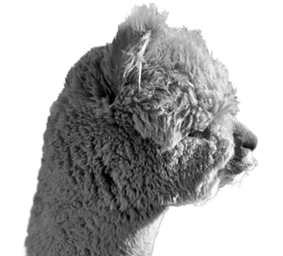 We are happy to help you figure out if alpacas are a good fit for you.